The Mayor Gallery, founded by Fred Mayor, opened in 1925 at 37 Sackville Street. 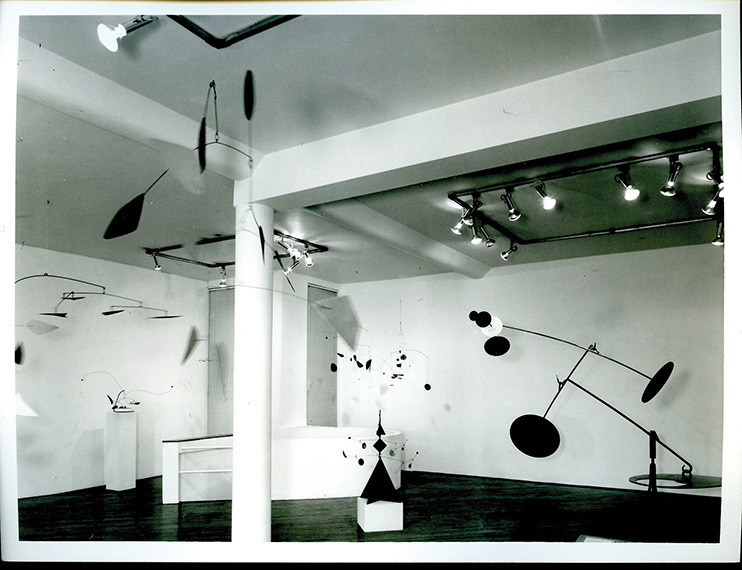 Closing in 1926, it re-emerged as Cork Street’s inaugral art space at 18 Cork Street in 1933. 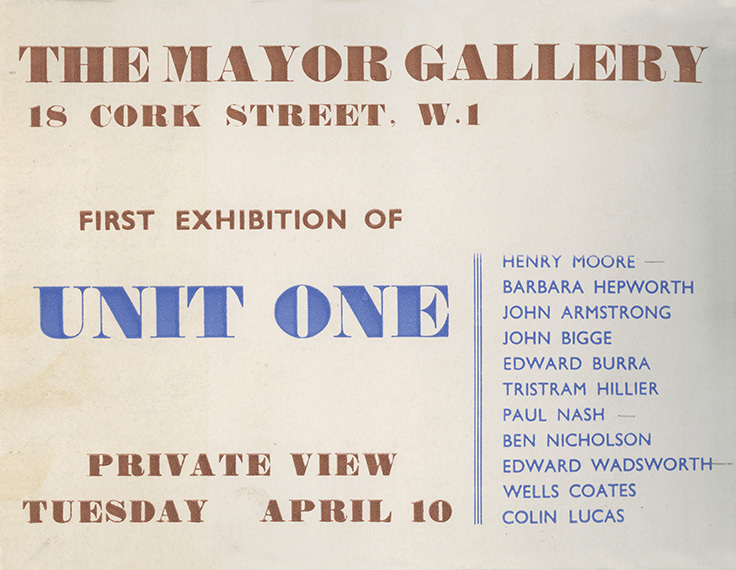 A spirited supporter of modern English art, The Mayor Gallery hosted the first show from Unit One in April 1934, a grouping of artists including Henry Moore, Ben Nicholson and Barbara Hepworth, led by Paul Nash. 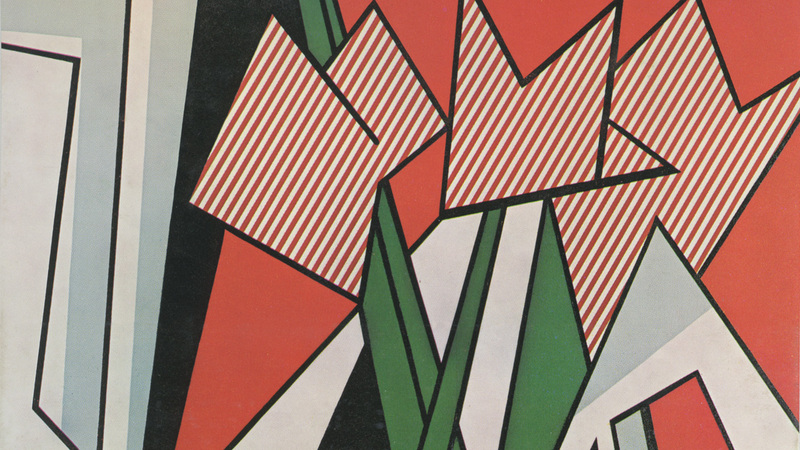 The talent that has been exhibited over the years, however, goes beyond Britannia, featuring a roll call of now 20th Century titans from mainland Europe and America – from Jean Cocteau to Max Ernst, Alexander Calder to Man Ray, Roy Lichtenstein to Cy Twombly. John Dunbar, artist and co-founder of the Indica Gallery sat down with his friend, The Mayor Gallery’s director James Mayor, the son of its founder, for a casual tracing of the street’s history. The following conversation is an edited excerpt, Mayor being a consistent and passionate advocate for Cork Street as a dedicated art destination. James Mayor: So when the tobacconist left my father said to Rex Nan Kivell, there’s a space behind, would he be interested? Redfern became the second gallery here in 1936 – my father said after that if he sold a catalogue, he didn’t know whether to turn left for a drink or right for a smoke! Then there was the London Gallery. And Guggenheim Jeune came in 1938. John Dunbar: But was it all Mod in this corner of Cork Street? JM: Yes, completely. Did you know ‘Tinker Tailor Soldier Spy’ was filmed here? The TV original. Because the Circus was here too. If you were driving down Cork Street, your car radio would start spluttering. After the war, you had an influx of people. My father re-opened in Brook Street, before going to South Molton Street. Then we came back here. JD: But did Cork Street originally happen as an overflow from Bond Street? Because Bond Street traditionally had places – Redfern came from there. JM: It did. Cork Street started being a gallery street with my father, there were a lot of tailors here. And it was bombed during the war. It became a gallery street. 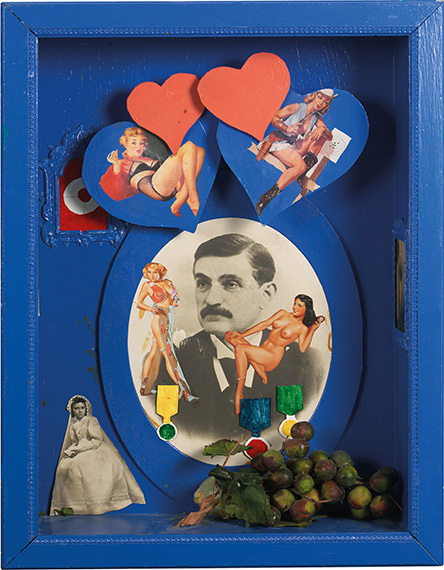 JD: Robert Fraser re-opened his famous gallery in ’83. Was that when he had that flat high up on the corner? JD: Looking out over Soho – rather nice. When he had that Moroccan chap. JM: And Cecil Beaton’s bed. From the early ’80s until Robert died, whenever both of us were in London, we would either have a meal or a drink together every day. JD: So when did you start [at The Mayor Gallery]? JM: I took it over before my father died. He died in ’73. That was in South Molton Street, and then we came back here. The Leicester Galleries were here. You had Robert, you had Victoria Miro, you had The Mercury Gallery. Both Waddingtons, father and son. Nicola Jacobs had an interesting gallery. And then there was Beaux Arts – an extraordinary list of people in London. It was vibrant. This is a street with a history. What we did achieve when the re-development came up was to get the street designated for galleries. The Pollen Estate have a long-term view – they have the freehold to stop anyone just doing anything. They’ve been here for a few hundred years and they want to remain here for a few hundred more. I applaud them for that. It began with the Reverend Pollen. JD: Sometimes it takes a while. JM: But this is what the business is about. It’s building other people’s collection – you call it your collection, I call it my collection with your money. And that’s the enjoyment, of trying to teach people that it’s fun to buy art, not about making money. JD: The Sculls had a fantastic collection. I remember they came to Indica and bought something. JM: He bought with his heart and he had an incredible eye. He really knew what he was doing. He was a very good friend of mine.